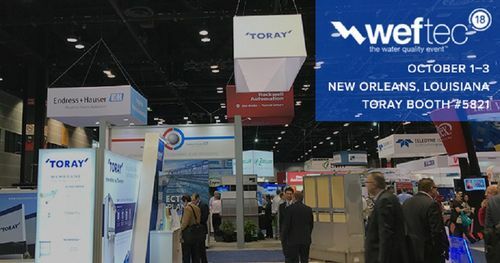 Join Toray at WEFTEC, one of the largest and longest running technical conferences on water & wastewater quality now in its 91st year. Toray will be introducing new membrane technologies for improving water quality and overall plant performance. Visit us at booth 5821.